Dudeness that can be known is not Dude. The substance of the World is only a name for what Abides. Dudeism is a religious philosophy and lifestyle inspired by the fictional character Jeffrey "The Dude" Lebowski, as portrayed by Jeff Bridges in the Coen brothers' 1998 film The Big Lebowski, the Tao of Taoism as outlined in Tao Te Ching by Laozi, and some concepts of the philosopher Epicurus, all presented in a style exemplified by the character of "The Dude". 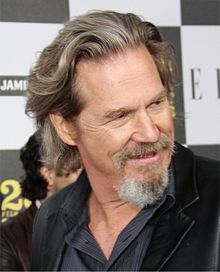 Founded in 2005 by Oliver Benjamin, a journalist based in Chiang Mai, Thailand, Dudeism's official organizational name is The Church of the Latter-Day Dude. The Chinaman is not the issue here, Dudes. The issue is that the Tao Te Ching is the perfect expression of Taoism’s wu wei of life, or in the parlance of Huston Smith, a life of creative quietude in which “the conscious mind must relax, stop standing in its own light, let go” so that it can flow with the Tao (or Way) of the universe. The rug is only a fabrication which ties the room together. According to religious scholar Huston Smith, Taoism has only one basic text, the Tao Te Ching (or, in English, The Way and Its Power), a slim volume that, as Smith says, can be read in half an hour or a lifetime. 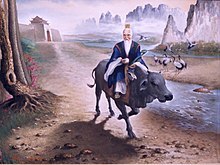 Legend has it that a Chinaman by the name of Lao Tzu one day said “#### it” (loosely translated from the Chinese), hopped on a water buffalo (possibly with rust coloration), and started heading a-way out west to Tibet. … Regardless of whether the legend is true, or whether Lao Tzu even really existed, the Chinaman is not the issue here, Dudes. The issue is that the Tao Te Ching is the perfect expression of Taoism’s wu wei of life, or in the parlance of Huston Smith, a life of creative quietude in which “the conscious mind must relax, stop standing in its own light, let go” so that it can flow with the Tao (or Way) of the universe. Dudeness that can be known is not Dude. The substance of the World is only a name for what Abides. And investigates complicated cases in order to understand the World. They are distinct only in front of the bar. Which is infinitely greater and more subtle than the ####### TOE! Not flaunting beauty prevents thousand-dollar blowjobs. This is not ‘Nam. This is bowling. There will only be pee-stains on the rug. Let me tell you somethin’ about The Dude. What the #### are you talking about? I lost my train of thought here. 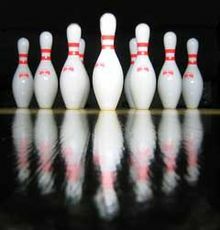 Bowling is everlasting because it does not have a point. Rolls casually down the lane, and endures through strikes and gutters. Because he does not put himself over the line, he does not enter a world of pain. You see what happens when you #### a stranger in the ###? This is a natural, zesty enterprise. Grasped at but cannot be touched — it floats off across the sky. All these strands make it a very complicated case. So the Bums reveal them for the phonies they are. The bums leave them alone, mister. Why should those of man, man? To follow the Dude, become the Dude; the Dude will abide you. It cannot be shaped by undudeness. When one works in shifts, promising, uh, uh, leads will not be found. ######## money or basic freedom: which is dearer? Contentment or competition: which is more valuable? Compensation or employment: which is more painful? But great abidement incurs no loss. And may long endure both strikes and gutters. Dudeism is non-theistic. We don't see anything as a kind of God figure. That's not to say we're not religious. We do think there's some far out #### out there, but it's not some old guy with a moustache. Anyway, The Stranger is probably more like a mirror of ourselves. He also may be the ghost of America's past — taking stock of what's become of the nation's integrity. The Dude is an extreme case, but he provides an ideal which can help you to bring a little more "Dude" into your life, without giving up on the rat race entirely. … I grew up in the 1980s, which was a very ambitious and materialistic time — the era of the Yuppies. Even as a youth, I found it frightening and false. … The reason I embarked on a 10-year backpacking journey was so I could avoid being brainwashed by the machine of industry, and find the space and freedom to indulge my imagination. People who intuitively perceive 2,500-year-old Chinese and Greek concepts, while nodding to California's detached hippie philosophy and quoting droll lines from The Big Lebowski, which turns 15 this year, are joining a revelatory religion that has illuminated its U.S. founder in northern Thailand. Dubbed "Church of the Latter-Day Dude," the group also invites "mellow, unflashy chicks who hang around in their bathrobes and take baths with candles and whale sounds," says the religion's Dudely Lama, Oliver Benjamin.